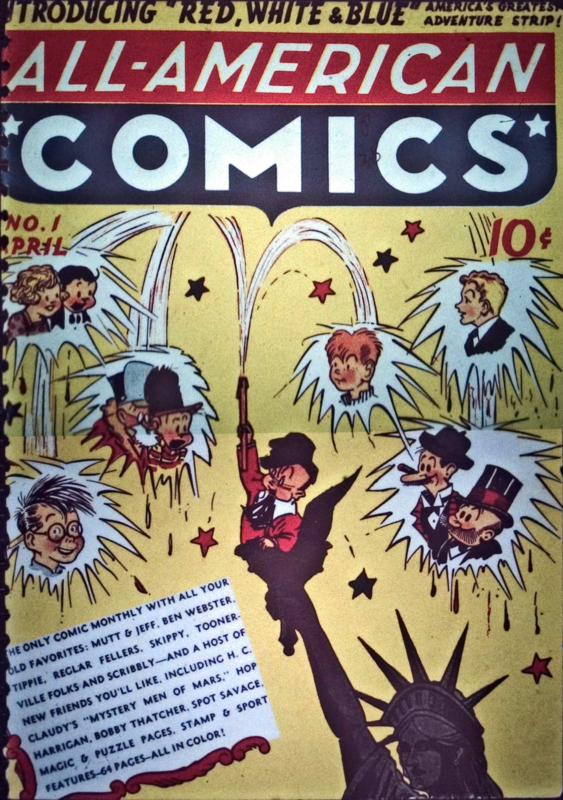 All-American Comics #1 in March 1939, the first comic from All-American Publications. All-American was formed by Max Gaines and funded by Harry Donenfield (the owner of National Allied Publication and Detective Comics). All-American would go on to be the home for many characters we know well today like Wonder Woman, The Flash, and Green Lantern and would eventually be folded into DC Comics.